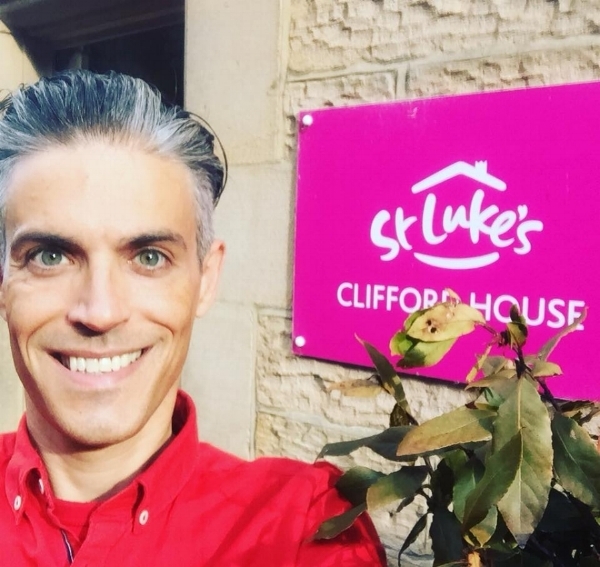 I am really honoured to have been asked by Sheffield's St Luke's hospice to teach Dru Yoga to people affected by an illness that has no cure. The new Saturday morning class starts in September and will be held at Clifford House on Ecclesall Road South. Clifford House is something Sheffield should be hugely proud of. It is far more than a grand and welcoming old building with an impressive history. It is a wonderful resource with a bright future in bringing joy to many, many people across the city. It was built in 1894 for the colliery owner Denys Hague and was later the home of Charles Clifford, chairman of Sheffield's Telegraph and Star newspapers. Clifford House is no longer a fancy, private residence and has been a new part of St Luke's hospice for almost a year old, having opened in September 2017. It's doors are now open wide for the people of Sheffield and their loved ones if they are affected by an illness that has no cure. It offers fun, relaxation and practical support through a wide range of creative and social activities. I love that the ethos and focus of St Luke's is on life. As they say on their website, "St Luke’s is not somewhere you’ll come to wait to die. St Luke’s is about living." It feels a great privilege to be playing a small role in this by bringing the grace and power of Dru Yoga to the list of activities people can enjoy at Clifford House. I know how Dru Yoga has enriched my life and can't wait to share this practise with those using Clifford House. What's more everything at Clifford House is free for anybody in Sheffield affected by an incurable illness, at any stage of that journey. And this includes their friends, family and carers. Please also consider making a donation to support this wonderful local, Sheffield resource. Just 24% of St Luke's funding comes from the NHS, and this year they need to raise more than £6.4 million! So any donation will make a difference.